One of my favorite quotations comes from the Jamaican bobsled coach. Remember how the Jamaican bobsled team captured the world’s fancy? 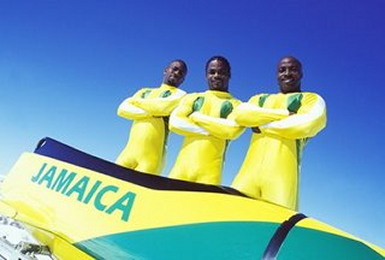 A bobsled team from the Caribbean … how crazy is that? They weren’t very good, but so what? They gave it their all. As soon as I read it, I recognized the wisdom and truth of those words. Medals, trophies, awards, titles: they won’t fill the emptiness inside. Oh, they’ll make you feel good for a few hours or a few days, but the feeling soon wears out. We live in a hyper-competitive society in which it’s all about “winning,” whatever that means. So focused are we on winning — which is usually both short-term and ephemeral — that we forget what’s really important in life. Family, friends, health, a life of meaning and service, stuff like that. Stuff that you may not win a gold medal for, but the stuff that truly matters. A society based on competition and consumerism always pressures us to associate winning with acquisition. I need that gold medal for affirmation! And if I can’t get that, at least I can buy that Lexus SUV, that Kate Spade bag, or some other shiny object that feeds my ego. Forget about medals and ribbons and titles. Living a life of meaning is its own reward. That’s why I added the modifier “hyper” to competitiveness. Nothing wrong with competition; it brings out the best in many people. But if you’re just competing for the gold — if your life has no meaning except if you win the gold — then there’s an emptiness there that gold medals will never fill.